Company Registration, Tax Consultancy, Trademark, Compliances in India. There are different forms of e-Commerce. Many businesses such as Amazon, Flipkart, and Snapdeal have their e-Commerce activities in India. Most of these are consumer oriented but follow different business models. All transactions are however subject to certain taxes irrespective of the business model they follow. Here are the three fundamental types of taxes for e-Commerce in India. Value Added Tax (VAT): It is imposed on consumer spending and is a consumption tax. It is collected only in the state where the sale takes place. And for this the seller and the buyer should be from the same state. Central Sales Tax (CST): This tax is applicable on inter-state transactions, meaning that the buyer and seller are from different states. In this case, the taxes are again dependent on the nature of the goods and can vary between 12.5%, 4%, 2%, and 1%. Let us take a look at the different kinds of e-Commerce in India and the tax laws applicable to them. Business to Consumer (B2C): This is obviously the most basic model where the buyer and seller interact online. Products are showcased on the site and a transaction happens when a product is chosen and price is paid. The website could just be facilitating the transaction and in turn is paid a commission. The biggest rationale for this model is the elimination of the need for physical stores. Depending on whether the transaction is inter-state or intra-state, VAT or CST is applicable in such a business model. The taxes levied are subject to the tax laws of a particular state as also the nature of products. Business to Business (B2B): In this type of e-Commerce, both participants are businesses. Consequently, the volume and value of transaction can be big as well. One example of this type of a transaction could be that of a gadget manufacturer sourcing components online. In this business model, the e-commerce company receives an order on its website, issues an invoice to the buyer, and places an order with a manufacturer for delivery of the product. VAT is applicable in this case if all parties are from the same state and CST if they belong to different states. A service tax may also be levied if the company is also taking delivery charges. Consumer to Consumer (C2C) This model can also be called a Consumer-to-Business-to-Consumer model. Examples are eBay, Quikr, etc. This kind of a transaction enables one consumer to sell to another through an online business portal. This kind of a model does not invite any sales tax since the e-Commerce vendor is just a connecting platform. However, a service tax is applicable since the website will charge a service fee. Challenges: With a spurt in the volume of e-commerce businesses in India, the rules of taxation on such transactions are blurred. Decoding the CST/ VAT structure for online retailing is a challenge today since it is increasingly becoming difficult to identify the various business models. Should these offerings be categorized as ‘Goods’ or ‘Services’? Should they be levied with CST or VAT or ST? All online transactions are liable to be taxed but the important issue is to identify the right tax model. The big debate: States claim to be facing large revenue losses due to unclear tax rules on e-Commerce. A dealer selling a product in the same state has to pay VAT. However, an e-retailer selling from a warehouse in one state to a consumer in another would mean that the VAT goes to the state with the warehouse. Thus, the consumer state is deprived of levying VAT. E-commerce vendors are of the opinion that since they are just a platform connecting the buyer and seller, they should only pay a service tax. VAT and CST should be handled by the respective dealers. States keep changing their tax policies and this does not work in favour of e-Commerce businesses. As an example, in Karnataka, e-vendors like Flipkart and Amazon were asked to pay VAT for products stored in the state’s warehouses even before orders were placed for them. The state of Madhya Pradesh wants clarity on ‘point of sale’. Kerala wants a tax structure that doesn’t discourage traditional traders in the state. For e-businesses with inter-state transactions, the changing VAT and CST laws are a major hindrance. The taxation rules and regulations for e-Commerce need a more streamlined approach in India. It remains to be seen what the Goods and Service Tax allows for. 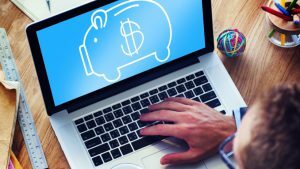 However, till such time, it is important for upcoming e-Commerce companies to choose the right model to save on taxes as well as avoid any sort of resultant litigation. 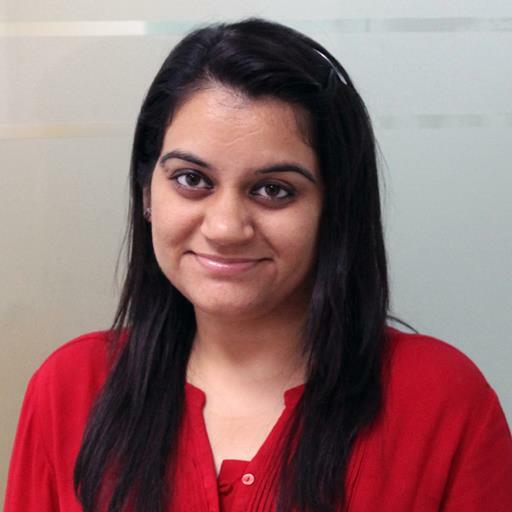 Nikita Bhatia is the co-founder of VenturEasy, an online platform for Company registration, book-keeping, accounting, tax consultancy and legal compliances in India. A Chartered Accountant and company secretary by profession, she has wide experience in the fields of audit, accountancy, taxation and corporate governance. Previous PostPrevious Is your startup compliant?